The CrunchPad is back...sort of. The device, originally the pet project of TechCrunch's Michael Arrington, has been resurrected as the JooJoo by Arrington's former friend and business partner, Chandrasekar Rathakrishnan of Fusion Garage. We have been hearing about the CrunchPad for over a year now; the device, now called the JooJoo, is a black tablet with a 12.1-inch touchscreen, especially designed for browsing the Web. The tablet will be available for pre-order starting Friday (December 11) for $499 and will ship a couple of months later. Arrington isn't happy that he has lost what has been dubbed as his "science project," which reportedly happened when his manufacturing partner attempted to seize control of the device, cutting TechCrunch out of the deal. He also has threatened a lawsuit against Fusion Garage. However, the spat between Michael Arrington and Fusion Garage has probably killed for good any chance of the JooJoo to succeed in the market. Combining the shortcomings of the JooJoo with the circumstances of its launch, the device that could have been everyone's favorite tablet will be D.O.A. Here's why. TechCrunch is an influential technology blog, with almost two million unique visitors every month, according to Compete statistics for October. The CrunchPad received a lot of attention from other technology sites, which helped to build up momentum for the tablet. But since Arrington's post on why there won't be any CrunchPad, TechCrunch has kept mum on the latest developments of the now-JooJoo. Simply put, it looks like TechCrunch is refusing to give any free publicity for the JooJoo. Although the likes of Engadget, Cnet, and many others are covering this story, enthusiasm for the JooJoo will probably soon vanish between Friday (the pre-order day) and the end of January - beginning of February, when the tablet actually ships. 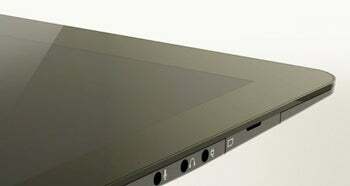 The CrunchPad was intended to be a low-price Web-only tablet, with a price point of around $200. But in the time it took to develop it, the cost has more than doubled, with a price tag of $500. With a $200 price tag, the JooJoo might have been able to compete with netbooks (more on this later), but at $500, chances are scarce. It's simply too expensive for what it is. You can just go and buy an iPod touch and a Kindle instead. That price looks even steeper when you remember that the tablet can only browse the Web. There is no expandable memory (only 4GB for caching information from the browser), no 3G for browsing while WiFi is unavailable, and it can't run anything other than Web apps. In comparison, a netbook can run most applications next to the browser as well. It's understandable how limiting the features of a device can help highlight the main use the JooJoo was designed for, but again, there seems to be little value for the asking price. Actually, there are chances that the JooJoo won't even make it on to the market next year. Michael Arrington said that he would file lawsuits to challenge Fusion Garage's right to rebrand and relaunch the CrunchPad. As my colleague Tony Bradley explains, even if there won't be any injection before Fusion Garage accepts pre-orders for the JooJoo on Friday, or when it ships next year, the tablet will be handicapped by the anticipation that the litigation could kill the project. Yes, there hasn't been any palpable proof that the Apple tablet exists, or any sort of official confirmation from Apple. But speculation has been building up this year, and rumors are pointing to a cheap Apple tablet, which will run the iPhone OS and will be tightly integrated with the iTunes store for movies and reportedly books. If the rumors were to be believed, cheap from Apple would probably mean around $500, which is the actual price of the JooJoo. Luckily for Fusion Garage, Apple is keeping mum on any details on the tablet or its existence, but a sudden appearance of a $500 Apple tablet early next year would probably wipe any chance of succeeding for the JooJoo.